We all know this scene well: You’ve finally woken from your Thanksgiving Day food coma, and you emerge from your bedroom and stumble into the kitchen looking for a midday snack. You swing open your fridge door only to find yourself faced with container after container full of leftovers. While another turkey leg in your stomach doesn’t sound so terrible, the idea of getting lost in a tryptophan-induced haze is far less appealing. 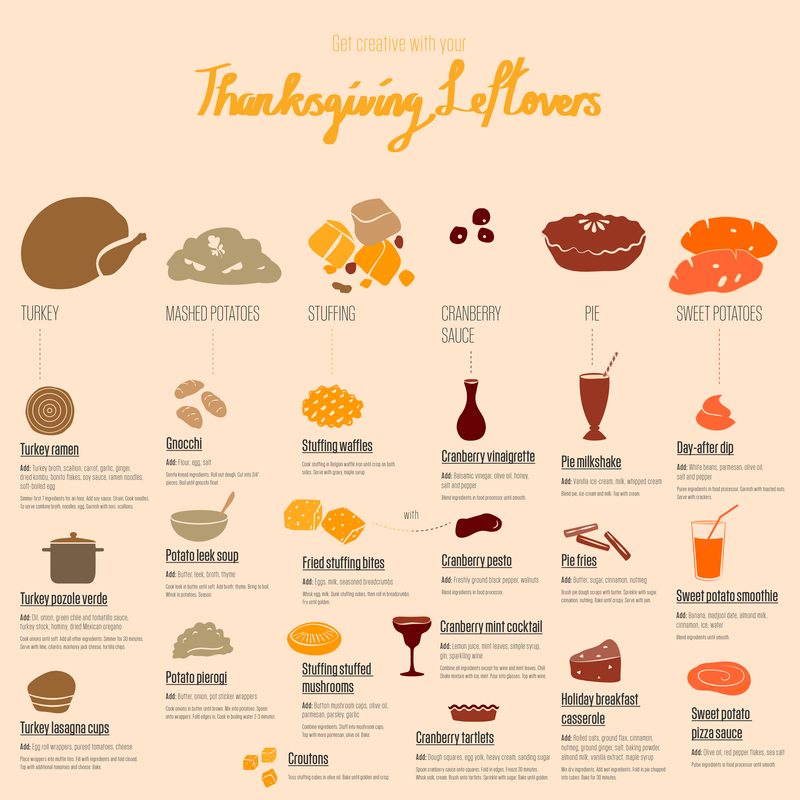 Thankfully, the clever folks over at Co.Design have created a cool infographic featuring some unexpected and amazing leftovers recipes that go beyond a turkey sandwich slapped together with mustard. With dishes ranging from fried stuffing bites to mashed potato gnocchi to a delectable pie milkshake, there’s no shortage of inspiring post-Turkey Day plated things. Get a magnified look all the culinary genius here.